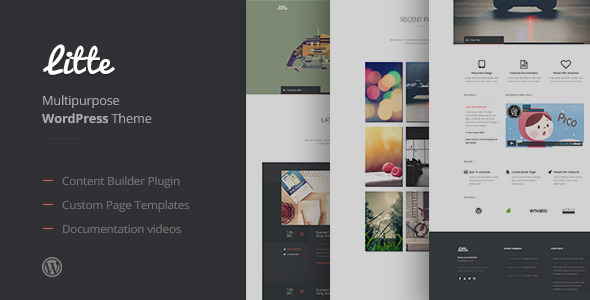 Litte is clean, functional, fully responsive, multipurpose theme suitable for both businesses and individuals, it can serve as portfolio, blog or both. With the extensive documentation, containing video tutorials that cover the features and options, setup and customization will feel like a breeze. “Page Extender” plugin, which is packed with the theme, adds custom page templates with various layouts and options, extending the default functionality of it. Litte also includes a content builder plugin called “Box Builder” which helps you build your content fast and easy. The 3rd plugin, Social Icons, adds more then 30 social icons, so you may stay connected.